Welcome to Lake Point Subdivision in beautiful South Carolina. 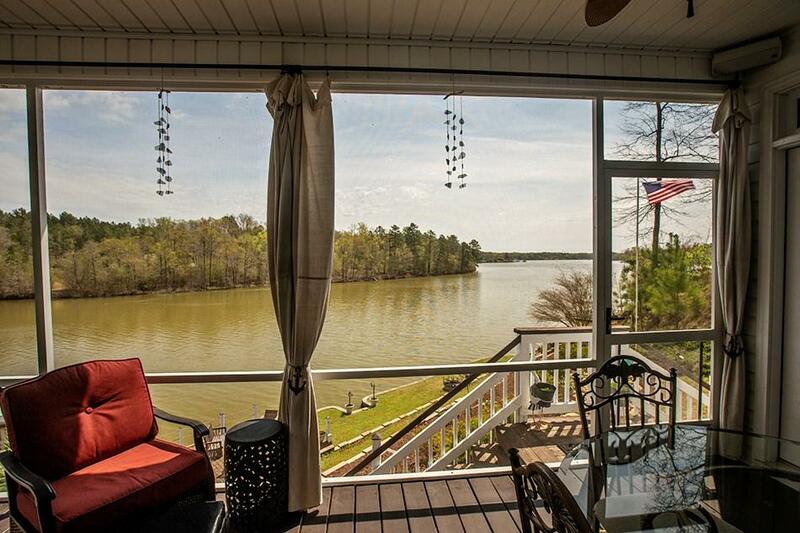 Live the good life along the quiet shores of Lake Greenwood. 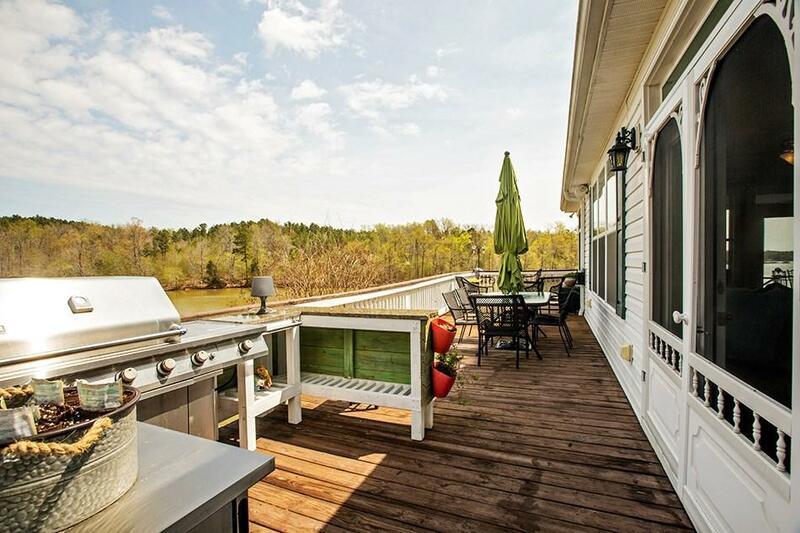 Relax on the large deck that surrounds the home or hang out on the dock and watch the sunset. This water front estate is a lake lovers dream. The main home sits just steps from the waters edge and a separate guest house with a garage below sits near the road. There's plenty of room for family and guest to have their very own private quarters when visiting from afar! The main home features a spacious open living and dining area with solid red oak floors, wall to wall windows, breathtaking views and access to the open air deck. The designer kitchen showcases high end cabinetry, tile back splash, granite counter tops, top of the line stainless appliances, gas cook top, built in wine storage and eat in large center island. The master suite is conveniently located on the main level and features a luxurious master bath with dual vanity, separate tub and walk in shower. As soon as you wake in the morning you can step outside onto the enclosed covered deck that offers 180 degree lake views. The laundry room even has granite counters and a sink. Upstairs is a bonus room which could be used as a bedroom or a game room and has its own heat pump. 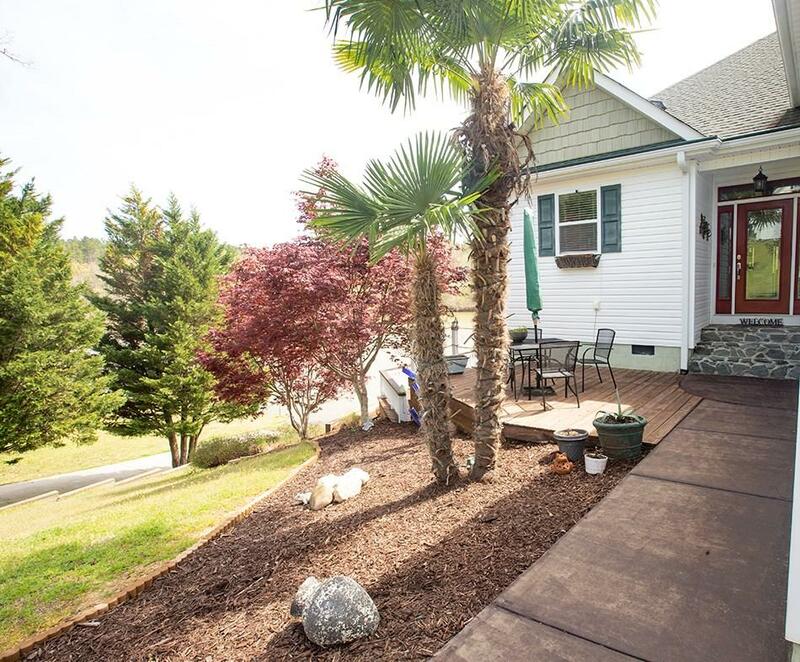 A wrap around porch makes it easy to spend most of your days enjoying the out doors. There's a grilling area, sitting area, and enclosed area when you've had enough sun and need a little shade. Underneath the deck is a covered patio that offers the same amount of space as the upper deck. The entertainment areas are endless! The guest house is abundant with outdoor space as well with a walk out deck, lower level covered patio and a additional open air deck! Inside you will find a large living area, nice gallery style kitchen with solid surface counters and a bar area, and a large bedroom and full bath! The lower level is a garage/workshop perfect for storing car or your lake toys. Outside is a 30 amp RV hookup and a dump into the septic system. As if all this weren't enough, we saved the best for last. 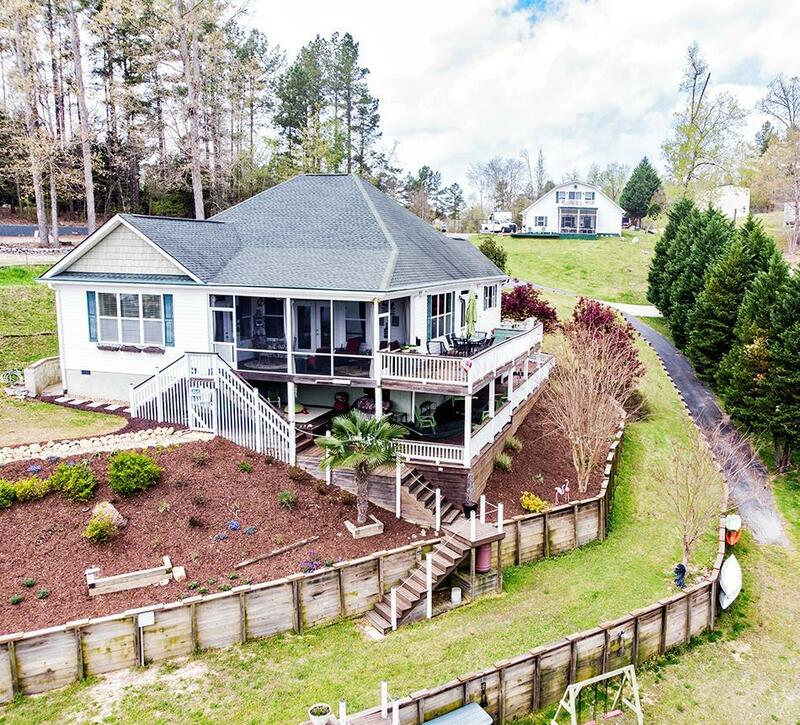 The lakeside is sure to please even the most discerning buyer! You can tan on the deck just a few feet from the water or cool off under the gravel patio sitting area below. Keep you boat out of the water and protected with a covered boat slip and lift that sits at the end of your maintenance free private floating dock. You can literally enjoy the lake in South Carolina all year long. Whether swimming, fishing, boating and just enjoying the picturesque lake views, life is better by the lake! Additional features and Updates include new Trane HVAC system 2016, installation of a Dry Riverbed to control erosion, Septic pumped 2017, Septic lift pump replaced 2015, Leaf Off gutter system installed 2010 with lifetime guarantee and quarterly pest control to prevent any infestations.